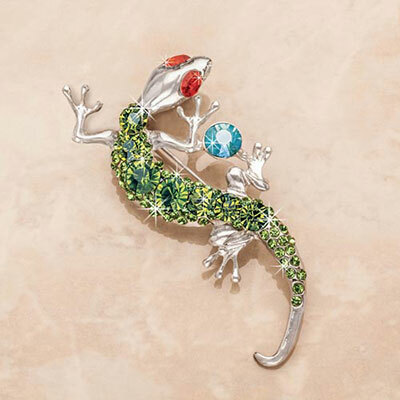 This glittering gecko adds just the right amount of sparkle and shine to any outfit. Green faceted crystals cover silver-tone metal to create a lizard like no other. Red crystal eyes wink merrily in the sunlight for a whimsical appeal. 3½"l.